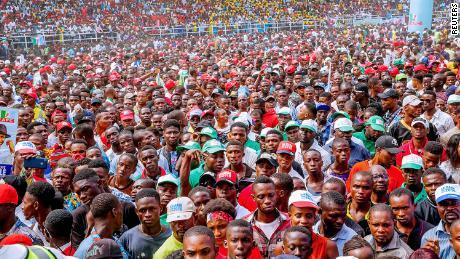 The chaos erupted as thousands of supporters tried to follow President Muhammadu Buhari’s convoy out of a stadium in the southeastern city of Port Harcourt in Rivers State, a journalist covering the rally told CNN. “I saw four bodies on the ground, and there was so much confusion as people were rushing and pushing each other to leave the stadium,” Chikwe Azoma said. Hospital officials put the death toll considerably higher — at 15 victims — a spokesman for the University of Port Harcourt Teaching Hospital told CNN on Wednesday. “We received 14 bodies from the stadium, and one of those injured later died. Twelve people are receiving treatment at the emergency ward,” Kem Daniel-Elebiga said. 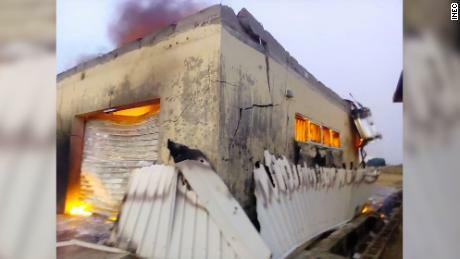 Rivers State police insisted four people were killed and four taken to the hospital, spokesman Nnamdi Omoni told CNN. Casualties and violence have marred a heated campaign season leading up to the presidential polls on Saturday and general elections later this month. Three people were stabbed and several injured after rival supporters clashed at a rally of Buhari’s All Progressives Congress party in January in Lagos. At least two people were killed at rally for that party last week in the northeastern state of Taraba. Buhari, who is on a nationwide campaign to drum up support for his re-election, offered his condolences after last week’s incident and called on his supporters to comply with crowd managers at rallies. “I always feel very sad and distressed when ordinary Nigerians, who love me and our party because of what we stand for and have done, make personal sacrifices by taking the pains to show their support (and) end their lives tragically,” the President said. Buhari, 76, is vying for Nigeria’s top office against 71 challengers. His main contender is 72-year-old Atiku Abubakar, Nigeria’s former vice president. Both candidates signed a second peace accord on Wednesday in the capital of Abuja, pledging their commitment to an election free of violence.